One of the main things I like about Aberaeron is the road you drive on to get there, it is a beautifully scenic route along the Welsh coastline and on a sunny day it reminds me of driving in other more sunny countries I have been to like Sardinia and Spain. We have it all in Wales, it’s quite a shame we can’t always rely on the weather, but I have heard a saying many times which states “There is no such thing as bad weather just the wrong clothing” which I have found to be true on many occasions. Aberaeron is still worth a visit even on a bad weather day, the views are still pretty spectacular. It is a small pretty village with lots of colourfully painted houses adding to its charm. 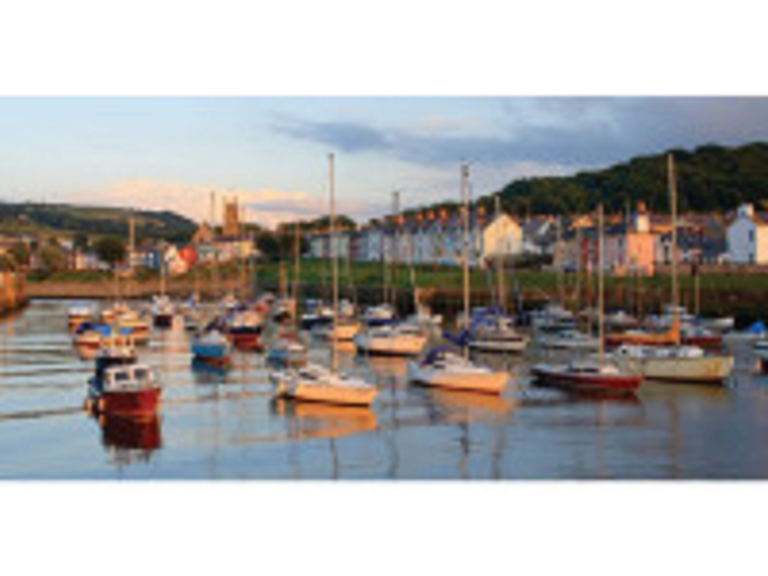 Situated in Cardigan Bay it has a lovely harbour with plenty of hotels, B & Bs and campsites for you to stay. Aberaeron is a rare example of a town in Wales that was planned from the outset; it began in 1807 when the reverend Alban Thomas-Jones Gwynne obtained an Act of Parliament to rebuild the harbour which subsequently led to the Regency style building of the surrounding town around a large open square. In the Nineteenth century Aberaeron was a thriving port with many sloops employed for the importation and exportation of various goods including coal and culm primarily but also grocery and timber being imported, with butter and oats exported. Every year the town holds the Aberaeron Festival of Welsh cobs and ponies, a wonderful time to visit if you love horses. The area is known as Welsh Cob Country and to denote this, the festival donated a life sized bronze statue to the town which can be seen in the square. The town gets its name Aberaeron, which translated means “mouth of the river Aeron” from Aeron the Welsh God of War, so legend has it. The architecture of the houses built around the square is quite significant and was designed by Edward Haycock an architect from Shrewsbury, so significant it has actually featured on British Postage stamps. If you love to walk along the shore keep a look out for some old Castle ruins believed to have been built in the 12th century by Cadwgan ap Bleddyn, now mostly reclaimed by the sea but some of the remnants still remain if you know where to look for them. It lies on the Ceredigion coast which means it’s also part of the Wales coastal path, which is an ideal place for a stopover while walking the path. The town is well known for its honey; why not try some of the delicious honey ice cream on your visit.